Dating The New Testament The Birth of Jesus: Hype or History? "Jesus did not ask us to believe that his death was a blood sacrifice, that he was going to die for our sins." "Jesus did not ask us to believe that he was the messiah. He certainly never suggested that he was the second person of the trinity. In fact, he rarely referred to himself at all." "Jesus did not call upon people to repent, or fast, or observe the sabbath. He did not threaten with hell or promise heaven." "Jesus did not ask us to believe that he would be raised from the dead." "Jesus did not ask us to believe that he was born of a virgin." "Jesus did not regard scripture as infallible or even inspired." Pink: Jesus probably or might have said something like this. Gray: Jesus did not say this, but the ideas are close to His own. Black: Jesus did not say this; it represents a later tradition. Their voting conclusions: Over 80% of the statements attributed to Jesus in the Gospels are, by voting consensus, either gray or black. This means that only 20% of Jesus' statements are likely to have been spoken by Him. The other 80% are most assuredly, they say, unlikely to have ever been uttered by Jesus. The public, exposed by the mass of publicity and attention given to the Jesus Seminar by the media has been inclined to assume that the theories of these scholars represent the "cutting edge," the mainstream of current New Testament thought. Nothing could be further from the truth. Why is this movement important? Should Christians be concerned with this? Haven't the gospel traditions had their skeptics and critics for centuries? What is different about the Jesus Seminar? Beginning in Germany, a separation began to occur between the "Jesus of History" and the "Christ of Faith"; that is, it came to be popularly believed that a man named Jesus really lived, but that fantastic myths grew up around Him and about His powers and claims, and thus He became for many the "Christ of Faith" in story, symbol, and worship. Scholars promoting this separation conclude that biblical history is not what is important; but rather, one's personal experience, one's search for meaning and timeless truths. Those are of primary importance to an individual. This group has brought into question the very authenticity and validity of the gospels which lie at the center of Christianity's credibility. If what the Jesus Seminar espouses is historically accurate, the sooner the naive Christian community can be educated to these facts the better, according to these scholars. Prophetic statements. Predictions by Jesus of such things as the destruction of the Temple, or of Jerusalem, or His own resurrection are later literary additions or interpolations. How do we know this? Because no one can predict the future. So they MUST have been added later by zealous followers. Miracles. Since miracles are not possible, every recorded miracle in the Gospels must be a later elaboration by an admiring disciple or follower, or must be explained on the basis of some physical or natural cause (i.e., the Feeding of the 5,000: Jesus gave the signal, and all those present reached beneath their cloaks, pulled out their own "sack lunches," and ate together!). Claims of Jesus. Christ claimed to be God, Savior, Messiah, Judge, Forgiver of sin, sacrificial Lamb of God, etc. All of these, say the Jesus Fellows, are the later work of His devoted followers. The historical Jesus never claimed these things for Himself, as Funk infers in his above-mentioned statements. Reality isn't like this. It couldn't be true. Jefferson and the Jesus Fellows, like all skeptics, prefer their own reason and biases over the possibility that the Gospels are accurate in what they say about miracles, prophecy, and the claims of Christ. They are like the man who visited the psychiatrist and informed him of a grave problem: "I think I'm dead!" The psychiatrist said, "That is a serious problem. May I ask you a question? Do you believe that dead men bleed?" The man quickly answered, "Of course not. Dead men don't bleed." The psychiatrist reached forward, and taking a hat pin, he pricked the man's finger. The man looked down at his bleeding finger and exclaimed, "Well, what do you know! Dead men bleed after all!" The Jesus Fellows, on the basis of their naturalistic bias, conclude that at least the Synoptic Gospels (Matthew, Mark, Luke) could not have been written at the time tradition and many New Testament scholars assume they were. The "Priority of Mark" as the earliest gospel written has strong (but not universal) support. And yet Mark 13 records Jesus' prediction of the destruction of the temple, something that did not actually occur until A.D. 70. When The The Books of The New Testament Written? Since the Jesus Fellows do not believe prophecy is possible, they judge Mark, the "earliest" of the Gospels, to have been written after the destruction of the Temple and Jerusalem in A.D. 70 by the Romans. If Mark was written in the early 70s, still later dates are then required for Matthew and Luke, to say nothing of the Book of Acts which must follow them with an even later date. Now, this gives the Jesus Scholars a "window" of about 40 years from the time of Jesus' death (a A.D. 32.) to the fall of Jerusalem (A.D. 70) to look for earlier sources devoid of miracles and extraordinary claims. They think they have found two such primary sources which fit their assumptions. The first of these is the "Q" source, or "Quelle." But Matthew and Luke have additional material, some 250 verses (i.e., the Christmas stories, greater elaboration on the resurrection events, etc.). And there are some verses which are common to both Matthew and Luke, but not found in Mark. Thus many scholars conclude there was some other document or source available to Matthew and Luke which explains why they contain these additional 250 verses along with the corpus of Mark. The scholars have designated this material as "Q," or "Quelle," which is the German word for "Source." Outside of the Synoptic gospels, there is no written documentary evidence to substantiate Quelle. A number of New Testament scholars thus claim that Quelle must have been an early, written document which preceded the writing of the Synoptic gospels and was incorporated into them. And they claim that in these 250 verses we only find a very "normal, human" Jesus who is more likely to have been the historical man. It has been almost universally assumed that the parallels in Thomas to the New Testament Gospels and epistles were copied or paraphrased (not the reverse, as the Jesus Fellows claim) to suit Gnostic purposes, teachings which were opposed to all ideas about a supernatural God in the flesh Who could perform miracles, forgive sin, and rise from the dead. The Jesus Seminar Scholars have fit Thomas nicely together with "Q" to frame an historical portrait of Jesus based primarily upon these two sources. The Jesus Scholars have declared that the Gospel of Thomas and the Q Source were written within the forty years between Jesus' death and the fall of Jerusalem, pushing forward the writing of the four canonical gospels (a necessity on their part to uphold their theory) to very late in the first century. Apart from completely ignoring Paul's epistles which were written between A.D. 45 and his martyrdom at the hands of Nero in A.D. 68, the Jesus Fellows have a critical problem in fitting their theory into first century chronology. New Testament scholars are in strong agreement that whoever wrote Acts also wrote the Gospel of Luke two volumes by one author, both addressed to a man named "Theophilus." And since Luke is supposed to have incorporated Mark and the Q Source material into the writing of his own Gospel, and Acts was written after Luke, but before Paul's death (A.D. 68) and the fall of Jerusalem (A.D. 70), then Mark and Quelle must have been written by the mid 60s. The same difficulty in Luke exists with Mark, who is said to have written his gospel with Peter as his source, Peter having been martyred in Rome about the same time as Paul. In comparing the two chronologies, it appears there simply is not enough time for the simple Jesus of history to evolve into the Christ of faith. Myths and legends need time to develop. There is none available in the first century to accommodate the Jesus Seminar's theory. On the basis of the Gospel of Thomas and Quelle, the Jesus Fellows believe the historical Jesus was simply a sage, a spinner of one- liners, a teller of parables, an effective preacher. This is what He was historically according to these scholars. The "high Christology" (supernatural phenomena, the messianic claims, the miracles, the substitutionary atonement, the resurrection) all came as a result of a persecuted church community which needed a more powerful God for encouragement and worship. His suffering, ardent followers are responsible for these embellishments which created the "Christ of Faith." The real Jesus was a winsome, bright, articulate peasant, sort of like Will Rogers. The Jesus Seminar assumes a "low christology" (Jesus as a peasant sage) preceded the "high christology" created later by the church. Is there anything that would suggest otherwise? The Apostle Paul conducted his church-planting ministry between approximately 40 to the time of his death, A.D. 68. It was also during this time that he wrote all of his epistles. While some New Testament scholars question the authenticity of Paul's authorship of a number of these epistles, virtually all, even the most liberal, will accept Romans, 1 and 2 Corinthians, and Galatians as genuinely Pauline. What kind of "Christology" do we find in these epistles? A high christology. The Jesus Seminar is asking us to believe that at the very same time the Gospel of Thomas and the Q source were alleged to have been written portraying Jesus as a wise, peasant sage, Paul was planting churches across the Mediterranean world and ascribing to Jesus the same high christology found later in the four gospels! The Jerusalem Council recorded in Acts 15 clearly indicates that Paul was aware of and connected to Jerusalem and its church leadership (Peter and James). After the Council Paul and Barnabas were given the express task of taking and distributing to the churches a written document of the Council's instructions about how Gentiles were to be incorporated into the church. This data file/document is the sole property of Probe Ministries. It may not be altered or edited in any way. It may be reproduced only in its entirety for circulation as "freeware," without charge. All reproductions of this data file and/or document must contain the copyright notice (i.e., Copyright © 1996 Probe Ministries) and this Copyright/Reproduction Limitations notice. This data file/document may not be used without the permission of Probe Ministries for resale or the enhancement of any other product sold. Extract From The Seventy Four "Scholars"
“There are at least 10 important areas in which the JS adopts assumptions and perspectives that are widely held in nonevangelical scholarship but which need to be challenged. Those assumptions include: (1) The authors of the four canonical Gospels are not Matthew, Mark, Luke, and John, as traditionally believed. (2) None of these four Gospels were written before the fall of Jerusalem in A.D. 70. (3) The oral tradition of Jesus' sayings was quite fluid. Simple teachings were often greatly expanded, embellished, and distorted in the process. (4) Various people in the early church, including the Gospel writers themselves, felt free to invent sayings of Jesus that had little or no basis in what He actually taught. (5) If a saying can be demonstrated to promote later Christian causes, it could not have originated with Jesus. (6) The historicity of John's gospel is extremely suspect. (7) Historical analysis cannot admit the supernatural as an explanation for an event. Therefore, Jesus' words after His resurrection -- like His earlier predictions about His death, resurrection, and return -- cannot be authentic. (8) Jesus never explained His parables and aphorisms. All concluding words of explanation, especially allegorical interpretations of parables and metaphors, are thus inauthentic. (9) Jesus never directly declared who He was. All such "self-referential" material (in which Jesus says, "I am..." or, "I have come to...") is therefore also inauthentic. (10) The burden of proof rests on any particular scholar who would claim authenticity for a particular saying of Jesus and not on the skeptic. Space obviously precludes a detailed response to each of these 10 claims. But we can at least sketch out the broad contours of a reply. In each case, the four Gospels were most probably written by people in a position to know and accurately preserve Jesus' teaching -- Matthew and John because they had personally accompanied Jesus; Luke because he had talked with eyewitnesses and engaged in careful historical research (Luke 1:1-4); and Mark (again according to the church fathers) because he had ministered together with Peter in Rome (cf. also 1 Pet. 5:13). (4) There is not a single piece of hard data demonstrating that early Christians felt free to create out of whole cloth sayings of Jesus which He never spoke. The most common way this assumption has been defended is by the idea of prophecy: New Testament prophets spoke in the name of the risen Lord and their words were allegedly later intermingled with those of the historical Jesus. But while such practices may have occurred with other gods or historical figures in nearby cultures, every reference to the words of Christian prophets inside and outside the New Testament canon makes it clear that they were not confused with the words of the earthly Jesus. (5) Although it is widely believed that theological motives impugn historicity, such a belief rests on a patently false dichotomy. As already noted, ancient history was not written according to today's standards of scholarly detachment. If sayings of Jesus relevant to the later church must be discounted, then so must the words of the Roman historians Tacitus and Suetonius, and the Jewish historian Josephus, when they help to promote Roman or Jewish causes. In such cases, we would be left with almost total agnosticism about ancient history, a conclusion few scholars are prepared to promote. The fallacy, of course, is to imagine that telling a story for a purpose, even in service of a cause one believes in passionately, necessarily forces one to distort history. In our modern era, some of the most reliable reporters of the Nazi Holocaust were Jews passionately committed to seeing such genocide never repeated. In this case, it is the appalling later revisionism of those who claimed the Holocaust never happened that has distorted history, not the testimony of those passionately caught up in the events of the time. (7) Antisupernaturalism is historically reductionistic (i.e., overly limiting what may have actually happened) and philosophically untenable. The historian may not personally be convinced by the testimony of Jesus' disciples that they saw Him alive again after His death. But that gives him or her no right to color all sayings of the resurrected Jesus black (i.e., in Matthew 28, Luke 24, and John 20--21). This the JS did on the highly debatable grounds that "words ascribed to Jesus after his death are not subject to historical verification." (8) Almost all rabbinic parables (of which over 2,000 have been preserved) have some kind of allegorical explanation. It is hard to believe, therefore, that Jesus the Jew did not give some kind of indication as to what His more pithy and controversial teachings meant. Indeed, the whole parable-allegory dichotomy is another false one, and again I must refer the reader to my book-length discussion of the matter for further detail. (9) It is inherently improbable that Jesus (or any other sage) would never talk about Himself in the first person. The real reason behind this claim is that many modern scholars are reluctant to believe that Jesus made the specific claims for Himself which the Gospels say He did. 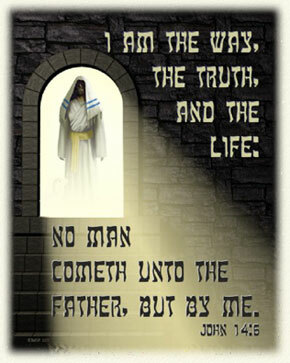 Often this is because they would then have to come to grips with His claims upon their lives -- demands that they are not prepared to accept (e.g., "I am the way, and I am truth, and I am life....No one gets to the Father unless it is through me" -- John 14:6). 5 Conveniently summarized, e.g., in the relevant sections of textbooks such as D. A. Carson, Douglas J. Moo, and Leon Morris, An Introduction to the New Testament (Grand Rapids: Zondervan, 1992). 6 See Robert H. Gundry, Matthew: A Commentary on His Literary and Theological Art (Grand Rapids: Eerdmans, 1982), 599-622; idem, Mark: A Commentary on His Apology for the Cross (Grand Rapids: Eerdmans, 1993), 1026-45; Colin J. Hemer, The Book of Acts in the Setting of Hellenistic History (Tubingen: Mohr, 1989), 308-410; Leon Morris, Studies in the Fourth Gospel (Grand Rapids: Eerdmans, 1969), 45-92. 7 By far the most important study of these features of the oral tradition is Rainer Riesner, Jesus als Lehrer (Tubingen: Mohr, 1981), unfortunately never translated into English. See his "Jesus as Preacher and Teacher," in Jesus and the Oral Gospel Tradition, ed. Henry Wansbrough (Sheffield: JSOT, 1991), 185-216. See also Kenneth E. Bailey, "Informal Controlled Oral Tradition," Asia Journal of Theology 5 (1991), 34-54; and Leslie R. Keylock, "Bultmann's Law of Increasing Distinctness," in Current Issues in Biblical and Patristic Interpretation, ed. Gerald F. Hawthorne (Grand Rapids: Eerdmans, 1975), 193-210. 8 See David Hill, New Testament Prophecy (London: Marshall, Morgan & Scott, 1979); and David E. Aune, Prophecy in Early Christianity and the Ancient Mediterranean World (Grand Rapids: Eerdmans, 1983). 9 One of the best discussions of how a gospel can be both history and theology remains I. Howard Marshall, Luke: Historian and Theologian (Grand Rapids: Zondervan, 1970, rev. 1989). 10 Craig L. Blomberg, The Historical Reliability of the Gospels (Downers Grove, IL: InterVarsity Press, 1987). 11 Craig L. Blomberg, Interpreting the Parables (Downers Grove, IL: InterVarsity Press, 1990). 12 Cf., e.g., the candid admissions of Burton L. Mack, The Lost Gospel: The Book of Q and Christian Origins (San Francisco: HarperCollins, 1993), 245-58. Mack was not one of the final Fellows of the JS but his writing closely reflects their distinctive approach to Jesus. ©1996 Probe Ministries. Copyright/Reproduction Limitations. This document is the sole property of Probe Ministries. It may not be altered or edited in any way. Permission is granted to use in digital or printed form so long as it is circulated without charge, and in its entirety. This document may not be repackaged in any form for sale or resale. All reproductions of this document must contain the copyright notice (i.e., Copyright 2007 Probe Ministries) and this Copyright/Limitations notice.